On Saturday, October 7th, students and instructors attended the 27th American International Karate Championships at the RIT Inn & Conference Center. 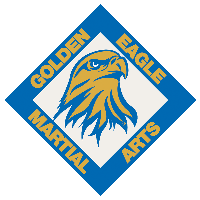 Congratulations to Nicholas, Brendan, Sempai Hannah, Sempai Paul, Sempai MaryLou, and Sempai Rich on their performances in kata, weapons, and semi contact fighting. They all did well and brought home several trophies and medals. Shihan Chris, Sensei Matt, Sensei Mike, and Sensei Chuck served as officials for kata, weapons, and breaking.